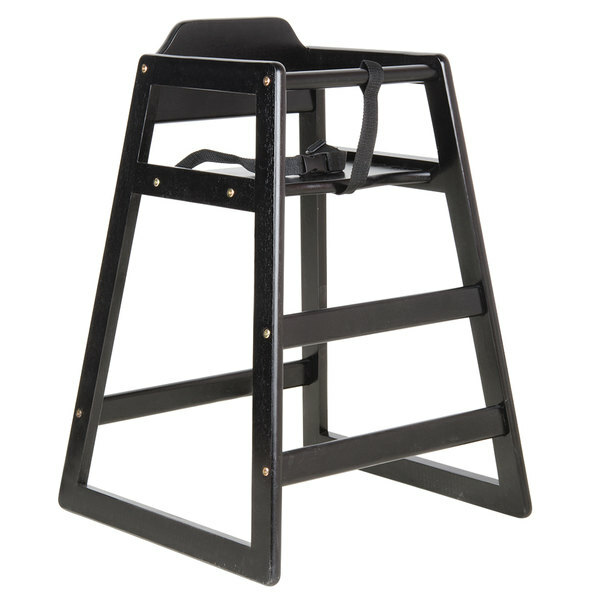 This Lancaster Table & Seating black stacking wood restaurant high chair comes unassembled, offering you great savings on shipping expense! Made of 3/4" solid hardwood, it features radius corners and fits flush to standard table heights to ensure your little guests are fully present at mealtime. A nylon safety harness and seat belt are included to keep little ones safe and secure. Arm Rest Height: 27 1/2"